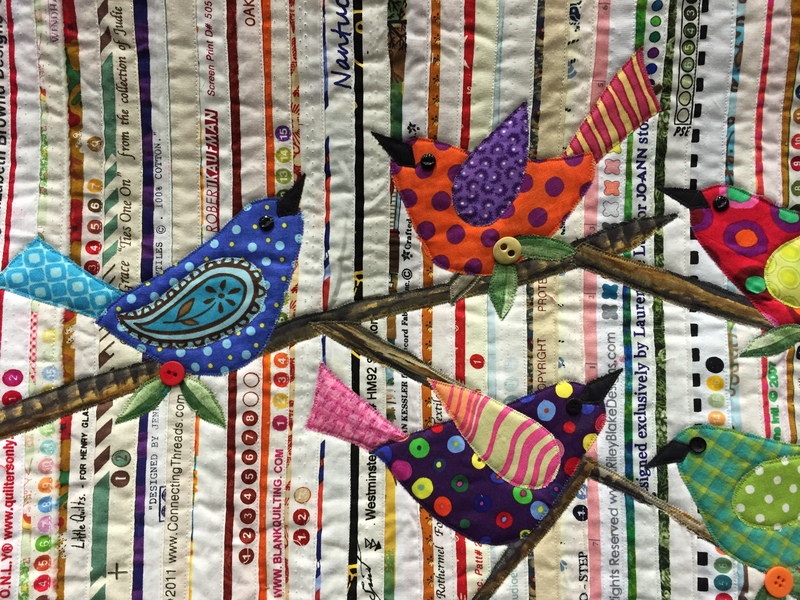 Yesterday was the final day of the Pine Tree Quilt Guild Show, the big state show in Maine. I came off the windjammer J&E Riggin on Saturday and turned around by Sunday to get myself to Augusta to both see the show and to bring home our Coastal Quilters’ Challenge Quilts, which were hung in the show. (You can see those quilts on the Coastalquiltersmaine1 blog if you like. Look at the use of the selvages!!! I loved this one, too ! LOVE it! the selvege dots add such fun energy, and the birds- oh my!! thanks for sharing this! What a unique and beautiful piece. I didn’t realize it was selvedges until you showed the close-up, but I love the birds. Thanks for sharing this one! I love this master piece, I would like the pattern for sure. It is beautiful. I have always been a bird lover. Tell me where I can order the pattern. I have no idea, Judy. 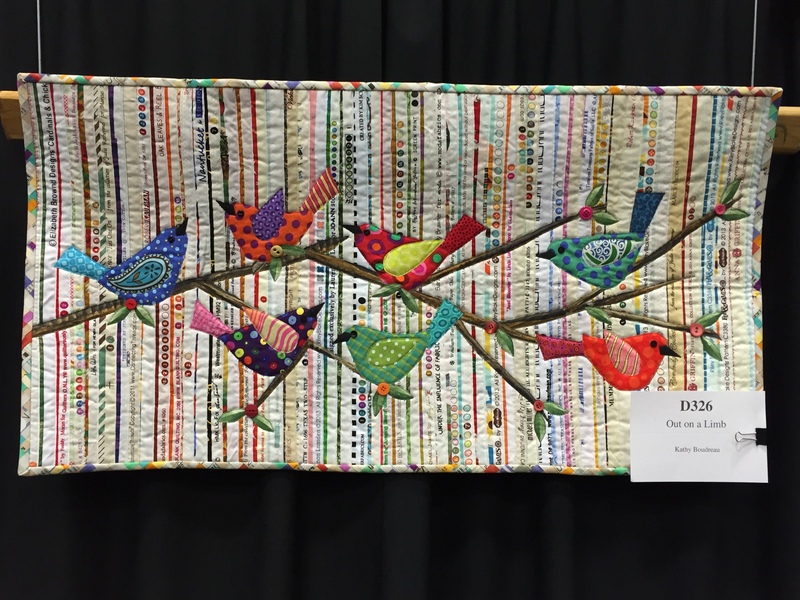 It is someone else’s quilt at a quilt show. It could well be that person’s own design. Glad you like it too. Absolutely love it!!! 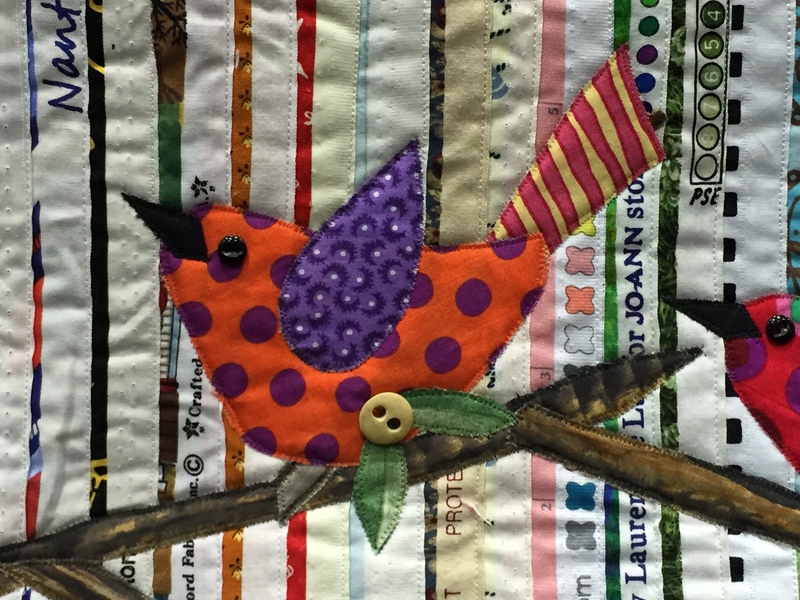 I wish that I had saved all my selvages since I started quilting five years ago. I’ll start this weekend with my next project…Christmas placemats….couldn’t find the ones I made last year…it’s an excuse to try a new pattern!